« You Wanted to Know: Where are the “Real” Indians? 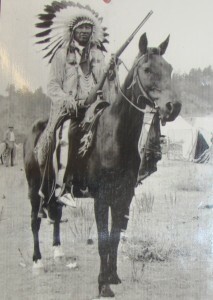 The word Cheyenne is Sioux in origin and traditional Cheyenne may prefer Tsistsista or Tse-tsehese-staeste (the people). They are known forfine porcupine quillwork, beadwork, pipestone carving, pottery, and the cradleboards that mothers used to carry their infant children on their backs. Early on, the Cheyenne lived in birch bark wigwams but transitioned to buffalo-hide houses (tipis) and today live in frame houses, trailers, and prototype straw bale homes. The Cheyenne language is from the Algonquian-Wakashan family. Some Northern Cheyenne, especially Elders, speak both Cheyenne and English. Originally fishers, the Cheyenne shifted their subsistence to hunting and agriculture as they migrated toward the northern Plains. Today, many Northern Cheyenne people are ranching and farming. In the 1500s, the Cheyenne migrated westward toward Minnesota and the Great Lakes Region. In the 1700s, they began to split into two tribes: the Northern Cheyenne who migrated toward Montana and the southern Cheyenne who migrated toward Colorado but are now in Oklahoma. 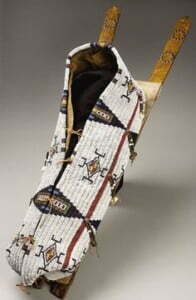 The Northern Cheyenne have made it a priority to establish and operate an historical museum, which shares the rich history and culture of their people. The Cheyenne helped the Sioux defeat Custer at the Battle of the Little Big Horn in 1876. The “military elite” of the Cheyenne — the Dog Soldiers — whose very presence is said to have struck fear in the hearts of those who saw them — but whose aim was to keep the peace within the tribe and protect the tribe from those who encroached upon them — were reported as extinguished by the U.S. Cavalry. But it is said that Dog Soldiers exist to this day. It is also said that when the Dog Soldiers had to fight, they would fight to the death or until their opponent surrendered. One leader of the Dog Soldiers, Chief Jacob Tall Bull, is the ancestor of NRC’s SNRF Chairperson, Linwood Tall Bull. The Northern Cheyenne Indian Reservation spans 444,000 acres in southeastern Montana. The capitol is Lame Deer, which has about 4,000 residents. When first established by the U.S. government, it was called the Tongue River Indian Reservation. The government attempted to force the Northern Cheyenne and Crow to live together, knowing they were traditional enemies, but eventually conceded and formed two reservations yet established them with adjoining borders. The reservation landscape has hillsides, long narrow ridges, forest land, flood plains, and wetlands along the river. The climate is semi-arid with 10 to 19 inches a year, depending on the elevation. Although cattle ranching, farming, and timber generate income, the Bureau of Indian Affairs, Indian Health Service, and tribal government are by far the largest employers. Portions of the land have coal, coal bed methane, oil, and gas for mining. There is also a local utility company and a small casino. In 1904, the Northern Cheyenne Tribe opened the Tongue River Boarding School and later proved to be avid basketball players. The high school graduation rate of Northern Cheyenne students averages about 50%. The unemployment rate for tribal members is 60% and this has implications in every aspect of life. For example, while many Americans believe that food is provided free to Native Americans, about 35% of the Northern Cheyenne people report having experienced persistent hunger. As many as 70% report having experienced food insecurity (meaning concerns about running out of food, parents skipping meals so the children can eat, or being unable to purchase food for a balanced and healthy diet). We hope you will take the time to learn more about this tribe and their amazing people. This entry was posted in Humanitarian and tagged American Indian, Chief Tall Bull, Dog Soldiers, food insecurity, Jacob Tall Bull, Northern Cheyenne, Sioux. Bookmark the permalink. Trackbacks are closed, but you can post a comment.